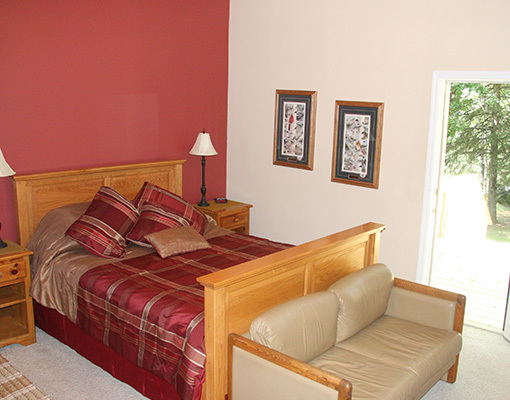 Fireplaces, whirlpool tubs, comfortable beds, home-baked goodies, delicious breakfasts, and true relaxation await you. 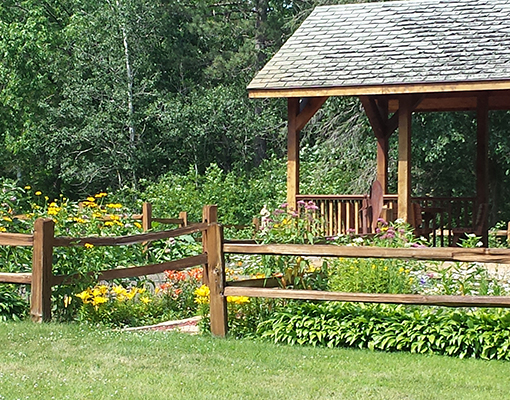 Enjoy a walk in the woods, time on the crystal-clear waters of our spring-fed ponds, quiet moments on one of our decks or gazebos, or games and activities in the Lodge. 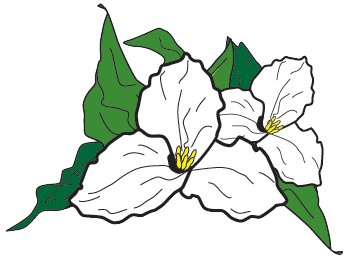 The LadySlipper Inn is a cozy bed and breakfast, open year round, located between Park Rapids and Detroit Lakes, MN. After driving through the neighboring fields, you will be pleasantly surprised by the beauty of our 160-acres of beautiful woodland with two spring-fed ponds. 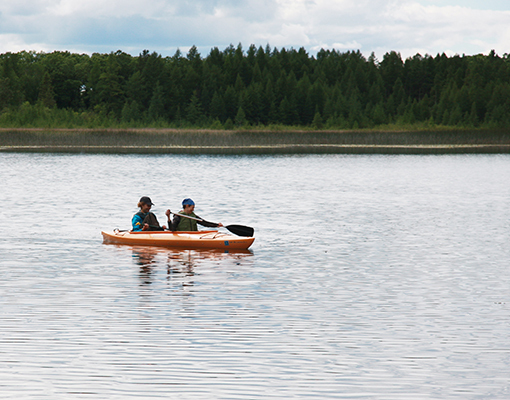 Guests can enjoy complimentary paddle boarding, canoeing, kayaking, paddle boating, swimming, and catch-and-release fishing. 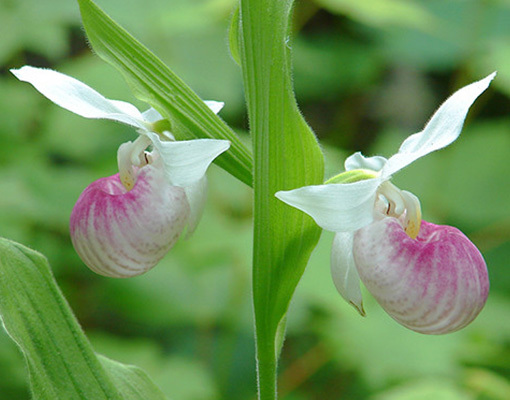 From the ponds, the Straight Lake Creek flows through a cedar bog filled with birds and wildflowers, including the showy lady’s slipper. There are almost five miles of trails through the meadows and woods for hiking (or snowshoeing in the winter). 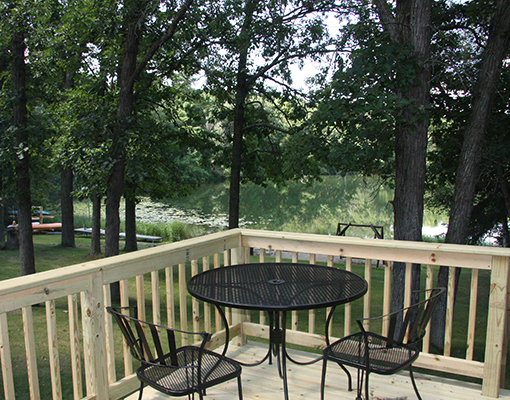 Each of our five large guest rooms features a double whirlpool tub, gas fireplace, comfortable sitting area, private deck, private bath with shower, comfortable queen-or king-sized bed, a tall vaulted ceiling, TV/dvd, Wi-Fi, and common and private entrances with great views of the ponds or woodland. 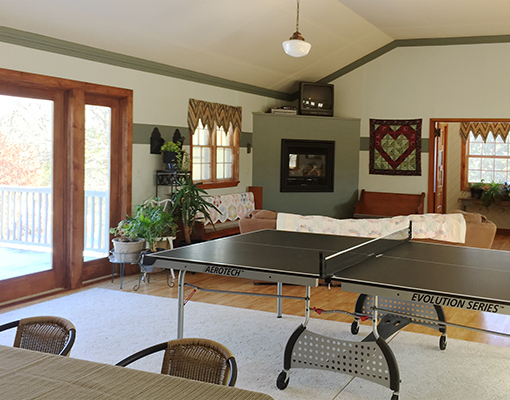 We love hosting guests seeking a quiet, relaxing stay, but also welcome groups of friends and families who would like to book a group of our rooms. 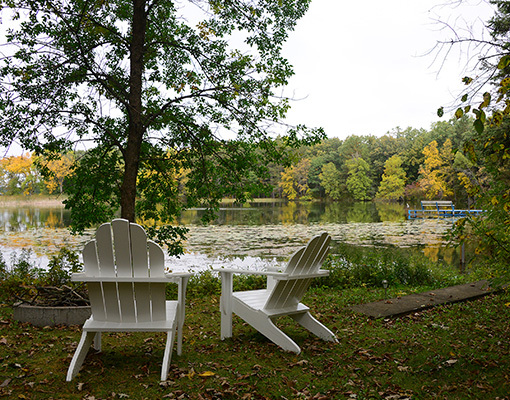 We are located about 20 miles southwest of Itasca State Park, Minnesota’s most popular state park, and home to the source of the Mississippi River. 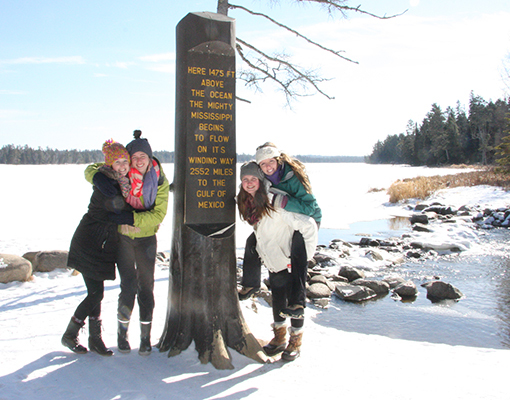 Guests from all over the world come to visit and wade across the headwaters. We’ll respect your need for privacy but will spoil you with great food and service.